New Delhi, India: Konark Publication/D.K. Publishers Distributors, 1999. Recent revelations about the side effects of allopathic drugs such as chemotherapeutics and antibiotics have scared many people all over the world, and there is a concerted effort to find alternatives. Until now, the fundamental principles and practices of Ayurveda have remained inaccessible to scientists and research workers of the West. 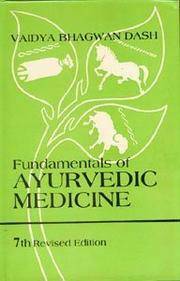 This text provides the much sought after data of Ayurveda in an accessible form to be read by all. Printed Pages: 228.. New. New Delhi, India: D.K. Printworld (P) Ltd., 2017. The interest in medicinal plants and edible plants of medicinal value is fast growing, worldwide. Though the classical textbooks on Ayurveda, the Indian traditional health-care system, provide detailed and authentic information on these plants' medicinal and heath values, there lacked scientific validation. Recent researches have shown that these plants cure many a diseases or arrest th onset of many chronic diseases including cancer, and incredibly contribute to human well-being, sans any side effect. Printed Pages: 304.. First Edition. Hardcover. New/New. 15 x 23 Cm. New Delhi, India: Shree Publishers & Distributors, 2017. Hardcover. New/New. New Delhi, India: Shree Publishers & Distributors, 2015. Hardcover. New/New. New Delhi, India: Concept Publishing Company Pvt. Ltd., 2005. This book critically analyses the role of NGOs in the development of health care sector in India, with special reference to West Bengal. Presenting an overview of NGOs, it traces their emergence and development in health care in West Bengal. Also, it examines the socio-political factors that influence the rise of NGOs in the state. Further, the study evaluates the contribution of NGOs in health care in West Bengal. Profiles of selected NGOs, enlightening the nature of programme sustainability and job satisfaction of the working staff, make part of the volume as well. The book will be useful for NGOs, funding-agencies, development workers and researchers. Printed Pages: 336.. Hardcover. New/New. New Delhi, India: Concept Publishing Company Pvt. Ltd., 2006. The shamans of the Changpa-nomads of the Ladakhi highlands of Changthang belong to the Tibetan culture. Modernity has reached even their remote world and challenges their life basis in a dramatic way. Their traditional healers, the shamans, recognize the "disease" of modernity the clearest. They envision the presence and future in trance and devine possession. Listening to their prayers and songs in trance, which bewail so much more violence in our times ("more blood than ever before flows down the valleys"), their admonitions get a remarkable actuality. (The manuscript of this book was finished shortly after the 11th of September 2001). Hermetic amnesia follows the trance of the Changpa shamans. In the present book the author shows how one can understand them despite amnesia, how one can decipher their bridging of old a modern times and, in this way, bring their message also to the modern world. Printed Pages: 327.. Hardcover. New/New. New Delhi, India: Concept Publishing Company Pvt. Ltd., 1994. Based on Todarananda Ayurveda Saukhyam, this series in nine volumes covers almost all the aspects of Ayurveda, including fundamentals principles, anatomy, physiology, hygiene and public health, examination of patients, diagnosis, prognosis and treatment of diseases, iatro-chemistry, materia rnedica and five specialised therapies, known as Ranch Karma. While volumes one and two deal with materia medica and basic principles of Ayurveda, respectively, volumes three to seven cover the diagnosis and treatment of different diseases. Five specialised therapies (Panch-Karma) and Rasa Sastra make part of volumes eight and nine respectively. 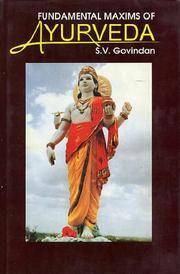 Besides the original Sanskrit text, all the volumes contain its English translation, extensive glossary of technical terms, various indices, notes and references. Printed Pages: 525.. Hardcover. New/New. New Delhi, India: Concept Publishing Company Pvt. Ltd., 1992. Based on Todarananda Ayurveda Saukhyam, this series in nine volumes covers almost all the aspects of Ayurveda, including fundamentals principles, anatomy, physiology, hygiene and public health, examination of patients, diagnosis, prognosis and treatment of diseases, iatro-chemistry, materia rnedica and five specialised therapies, known as Ranch Karma. While volumes one and two deal with materia medica and basic principles of Ayurveda, respectively, volumes three to seven cover the diagnosis and treatment of different diseases. Five specialised therapies (Panch-Karma) and Rasa Sastra make part of volumes eight and nine respectively. Besides the original Sanskrit text, all the volumes contain its English translation, extensive glossary of technical terms, various indices, notes and references. Printed Pages: 399.. Hardcover. New/New. Delhi, India: Bharatiya Kala Prakashan, 2006. Hardcover. New/New. New Delhi, India: Kaveri Book Service, 2016. Printed Pages: 137.. Hardcover. New/New. Delhi, India: Bharatiya Kala Prakashan, 2013. Drugs and injections cure one disease but beget another more serious than the original one. The often work havoc on the system more than the disease. The Medical profession is adopting measures which tend to suppress disease by means of poisonous drugs instead of intelligently using Natures bounties which not only cure radically but can also prevent disease permanently. In the book, the author has attempted to point out the deleterious effects of poisonous drugs and drastic measures upon the human system and to show in the light of accumulated experience how diseases can safely be treated, cured and also prevented with aid of Natures' bounties. Printed Pages: 246.. Hardcover. New/New. Delhi, India: Bharatiya Kala Prakashan, 2002. Hardcover. New/New. New Delhi, India: B.R. Publishing Corporation, 2001. Exploring ancient Sanskrit Texts for their scientific aspects adopting modem methods of rigorous investigative approaches can be said to have begun only recently. Two ancient sciences of India that can be said to be alive still in the old formats are Ayurveda and Gandharvaveda. We do have extensive ancient literature on these two as well as practical applications. 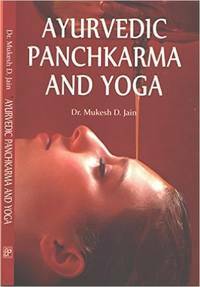 In this book Ayurvedic Technical Studies and Herbal Cosmetics of ancient India, five studies are presented. The first one deals with ecological resource management that the great Canakya mentions in considerable detail in his famous Artha Shastra. This is followed by a very technical study in Chapter 4 of an equally topical value that is concerned with cosmetics and perfume preparations as another famous person of Indian History, Varahamira deals with in his Brhatsamhita. The other three studies are concerned with an attempt of devising a rather new methodology of pharmaco-linguistics to solve the vexed problem of settling the botanical identity of ancient plant names of ayurvedic texts on some rational basis. The last chapter presents the text of a paper on Exploring Plant Wealth in Sanskritic Works-A paper presented by the Author at the National Conference on Ethno-pharmacology held in Mysore. Printed Pages: 130.. Hardcover. New/New. New Delhi, India: B.R. Publishing Corporation, 1991. The book, executed as a project of the University Grants Commission, examines this possibility anthologically. It does so from as wide a range of Sanskrit sources as felt necessary. This includes the Vedas, the Edicts, the Upanishads, the Dharmashastras and the Darshanas besides many classical texts on ayurveda and their commen-taries and so on. The highly rationalistic modern mind would be more impressed if it is made to acquaint itself as directly as possible with the original statements of the Sanskrit authors. This is why the anthological method is choosen towards this objective. This involves effective selection of the sources and quotations in Sanskrit, arranging them in an order best condusive to their appreciation by students of modern medicine. Experiment is a purposeful manipulation of the circumstances to check the veracity of our hypothesis. In this sense, science is probably new to ancient Indian ethos or rather to human civilization itself. The book is an attempt to demonstrate this thesis. Printed Pages: 560.. Hardcover. New/New. New Delhi, India: National Book Trust/Sangam Book Depot Printed Pages: 138.. Softcover. New. New Delhi, India: Abhinav Publications/Kaveri Books "It is a must for every aspirant for Ayurvedic treatment. After going through this book, the patient will understand the doctor better and thus becomes a partner in the curing and healing process, facilitating speedy recovery.. First Edition. Hardcover. New/New.